Carlton Fisk, White and Red Sox player (left), James Cocanower, pitcher (top center), Al Cowens, right fielder ( top right), Vince Coleman, St. Louis Cardinals player (bottom center), and Rich Hebner, third baseman (bottom right). Top row, left to right: Randy Ready, utility player, Gary Pettis, center fielder, Garry Templeton, shortstop, Rick Sutcliffe, pitcher. Bottom row: Steve Yeager, catcher, Dwight Gooden, pitcher, Rance Mulliniks, utility infielder, and Don Carman, pitcher. For millions of kids there were few experiences like getting a new pack of baseball cards. There was a simple but euphoric joy in tearing the thin metallic wrapper, being hit by the wafting smell of stale sugar and feeling the hard stock, glossy cards between your fingers. Brad Balukjian was one of those kids in the 1980s. 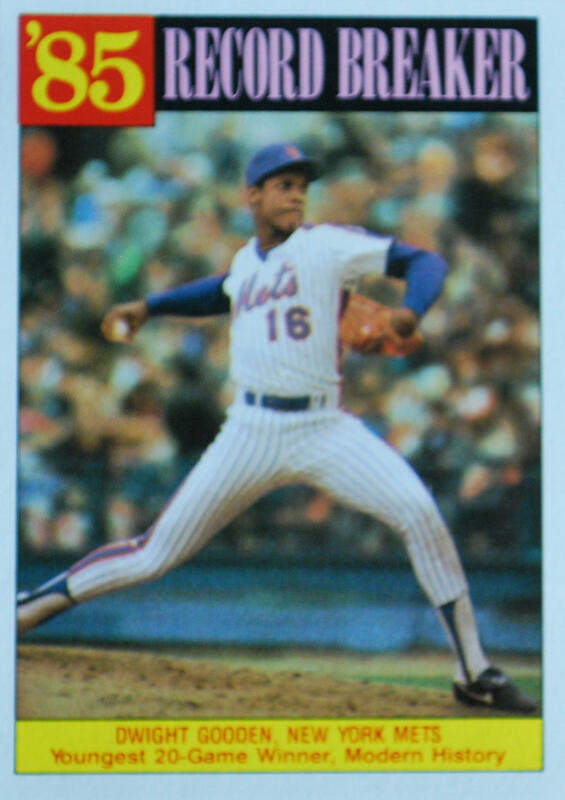 He bought his first deck in 1986, a year that included players such as Dwight Gooden, Ken Griffey and Eddie Murray. Recently, the freelance writer came up with an idea. He bought a pack of 1986 Topps cards on Ebay -- unopened. But this wasn't about reliving some childhood memories. Balukjian took the cards, packed a bag and hit the road. His mission: find all the players in the two decks, share an activity, a conversation or a moment with them, and get an autograph. The journey and everything in between would be great for a book. Listen to our interview with freelance writer Brad Balukjian. WLRN morning anchor Luis Hernandez interviews Brad Balukjian, who is on a journey to find players he collected in a couple decks of Topps baseball cards from 1986. Former Major League Baseball pitcher Dwight Gooden, who played for the New York Mets, New York Yankees, Cleveland Indians, Houston Astros and Tampa Bay Devil Rays. At the time of this interview, Balukjian was halfway through his journey. He's driven close to 7,700 miles across 21 states. He tracks his journey -- Starbucks and Dunkin Donuts consumption included -- on his blog, Wax Pack Book. Currently, he's seeking former pitcher Dwight Gooden. Balukjian finds these players years after their careers have ended. It's a time when the love of the game may have dwindled away for some of them, yet life must go on. "One of the main themes that's emerging is that this is really turning into a love story. I'm not only interviewing the players, but also their wives, their kids, their families..." Balukjian says. 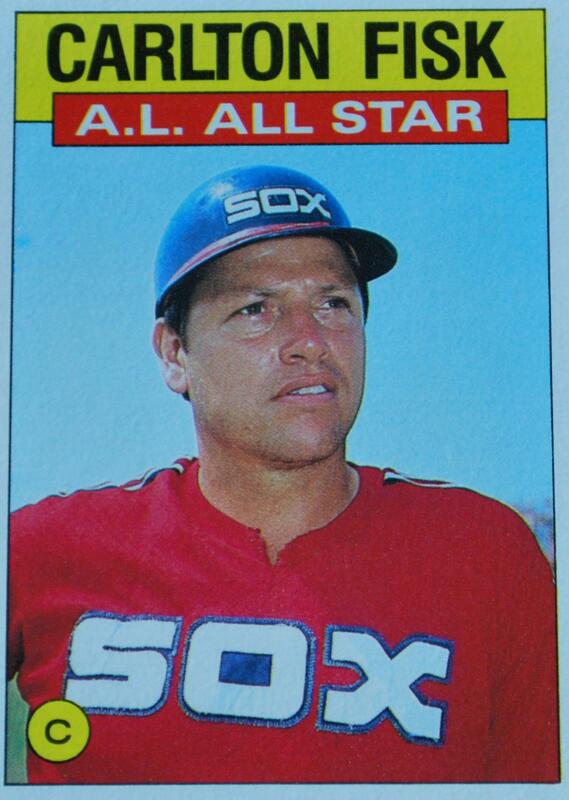 Carlton Fisk, former Boston Red Sox and Chicago White Sox catcher. Fisk was inducted into the National Baseball Hall of Fame in 2000. But tracking down the players today has presented some challenges. So far, the greatest challenge was while Balukjian was in Sarasota seeking Hall of Famer Carlton Fisk, who is notorious for turning down interview opportunities. "There's a sort of a silver lining here," he says. And there was. Recently, Balukjian paid $69 to get Fisk's autograph at the Baseball Hall of Fame weekend in Cooperstown -- but he took it a step further. He gave Fisk a glossy, autographed photo of himself, along with a card with the picture of an orchid on the cover (Fisk is apparently an avid collector of orchids) and a business card. Fisk signed the baseball card in return. "Mission accomplished," Balukjian wrote in his blog. Still, meeting the superstars hasn't been the most exciting part of the journey for the Oakland resident. Balukjian is more interested in the guys who played very little and were relative unknowns. He says he relates to them. The journey, like any, has been an eye opener for Balukjian. For him, perhaps the biggest takeaway from the journey is the riff that develops between players and their fans after a player's career ends. "I think fans expect past players to be as romantic and enthusiastic about their careers as fans are. What I found, by and large, is that the players don't really share that enthusiasm. It's not that they don't want to talk about the past, it's just that they've moved on with their lives." Balukjian's book is due out in 2017.